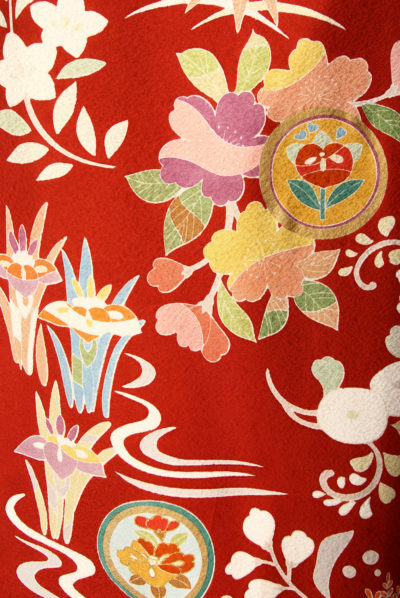 Flowers and a family crest on a deep red kimono. 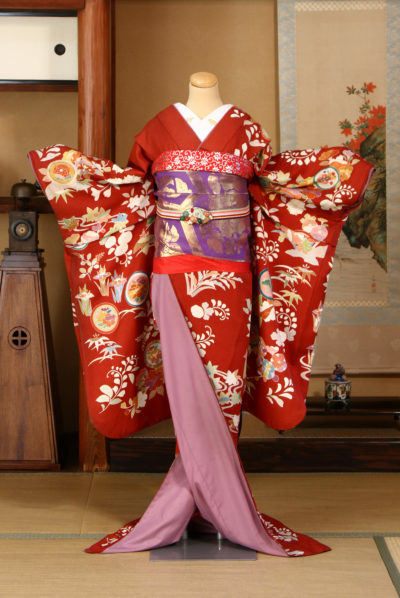 Since there are various color flowers in the kimono. Please coordinate the color of the obi with various colors. Copyright 2014 舞妓体験処 京都 ぎをん彩 All rights reserved.